Enjoy this sweet romance by Taylor Hart. After London Bridge—yes, her mother really named her that—gets assigned by her magazine to expose the relationship guru, Cooper Harrison, as a fraud—she refuses. Until her boss threatens to fire her. Who is this man and why does he always walk around without shoes? Cooper Harrison doesn’t care how many times his billionaire friends bug him about dating again…he’s not ready. So what if he teaches others how to have fulfilling relationships? Maybe he should quit. When London ‘accidentally’ trespasses on said guru’s property and meets him in the hot tub, she never imagined their interaction would lead to actually kissing the guy, then telling him about getting left at the altar. Too bad he laughs at her…Jerk. Suddenly exposing him doesn’t seem so hard. She never expected to see him the next day and kiss him, again. Then lie about having a boyfriend to protect him. Was she really figuring out reasons to avoid a hot billionaire? After a helicopter ride, and her military brother showing up and pretending to be her boyfriend…London doesn’t know how to tell him the truth. 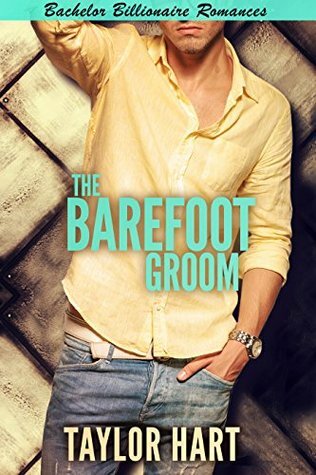 Now she’s left with a choice—pretend to be something she’s not…or take a chance on the barefoot billionaire. I've been a huge fan of Taylor Hart's since I read her first Last Play book. Who couldn't love tough, broken NFL players? This group of billionaire philanthropists that Taylor Hart has created are just as amazing as the football boys. They are all men any woman would dream of dating and their stories are as unique, interesting, and romantic as they are. Highly recommend this entire series! Amazon * Goodreads * Taylor Hart's Website - Get two free books from Taylor Hart's amazing Last Play series from her website.